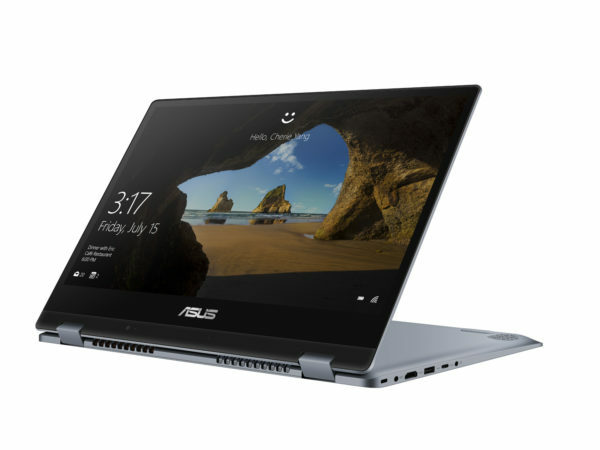 As part of the Computex 2018 that opens today, Asus announces its new VivoBook Flip 14 TP412, a 2-in-1 Ultrabook 14-inch touch screen convertible tablet with an Intel Core 8th generation. 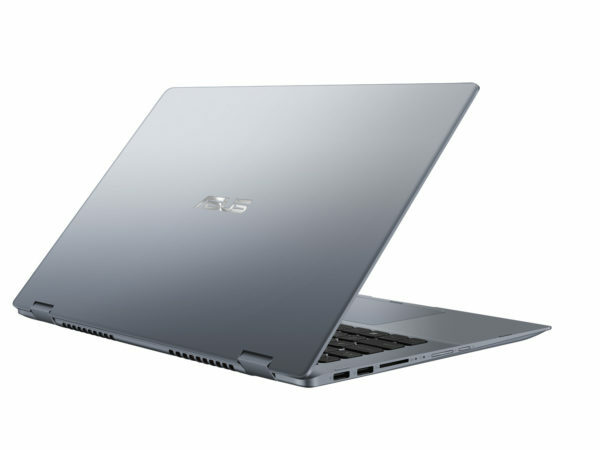 The new Asus VivoBook Flip 14 TP412 Hybrid Ultrabook is based on a low-power Kaby Lake Refresh 8th-generation Intel Core processor , up to Intel® UHD 620 Quad Core i7-8550U (1.8 GHz). 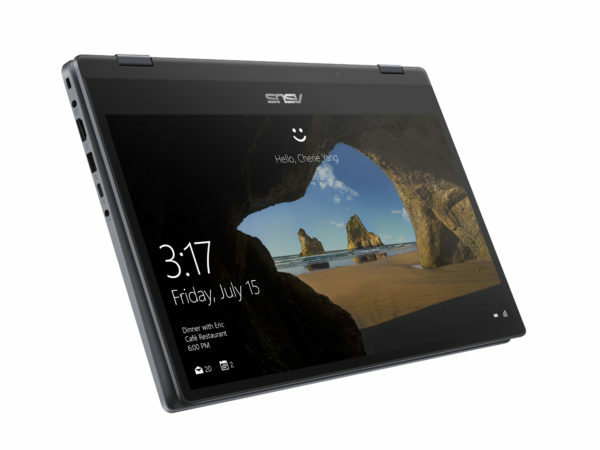 It stands out with a 360 ° open screen that supports at least 20,000 open / close cycles and can be converted into a Tablet . The IPS Full HD (1920×1080) 72% NTSC screen is indeed equipped with touch-sensitive multi-touch technology and compatible with the Asus Pen. The slab benefits from NanoEdge technology with very thin edges of 6.15mm only for a screen / device ratio of 82%. In terms of storage, Asus is planning a very fast SSD solution up to 1TB combined with 2400MHz DDR4 RAM with a maximum capacity of 16GB. Audio is handled by a SonicMaster 2-speaker solution. On the connectivity side, there are Wi-Fi ac and Bluetooth wireless modules, an HDMI video output, a headphone combo audio port, 3 USB 3.0, 1 USB 3.1 Type-C and an SD card reader. Featuring a backlit chiclet keyboard and a touchpad housing a Windows Hello compatible fingerprint reader (optional), the Asus VivoBook Flip 14 TP412 Ultrabook 2-in-1 boasts a sleek design with an aluminum chassis. a thickness of 17.6mm and a weight of 1.5 Kg. Two colors are planned: Star Gray and Galaxy Blue. 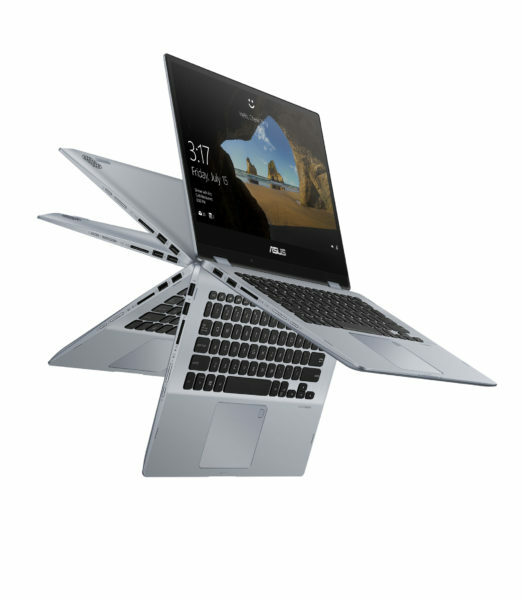 In the United States, the Asus VivoBook Flip 14 TP412 is expected at 849.99 dollars with a Core i7-8550U, 8GB of RAM and a 256GB dedicated SSD in a gray design.